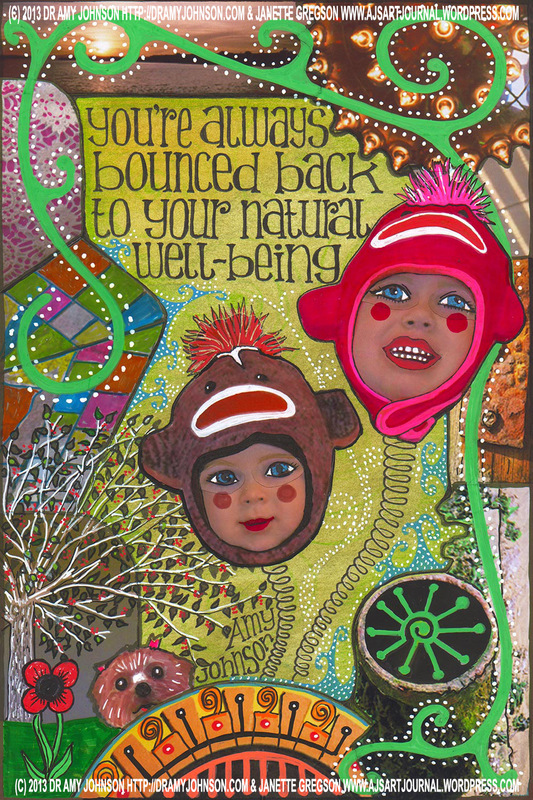 This entry was posted in Being Human and tagged AJ, AJ art journal, art journal, Being Human, Bouncing Back, collage, Doodles, Dr Amy Johnson by ajsartjournal. Bookmark the permalink. I am in awe of your art….beautiful creations! I would be worried about working with someone else’s pictures too, especially of their kids. But you did a fantastic job, I’m sure she’ll love it!